I first heard of chalk paint via Pinterest, I believe. 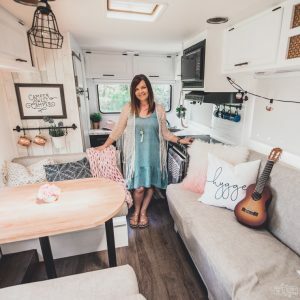 It seemed like absolutely everyone was refinishing their furniture with chalk finish paint, and I loved the look – it’s often used when a distressed look is desired. 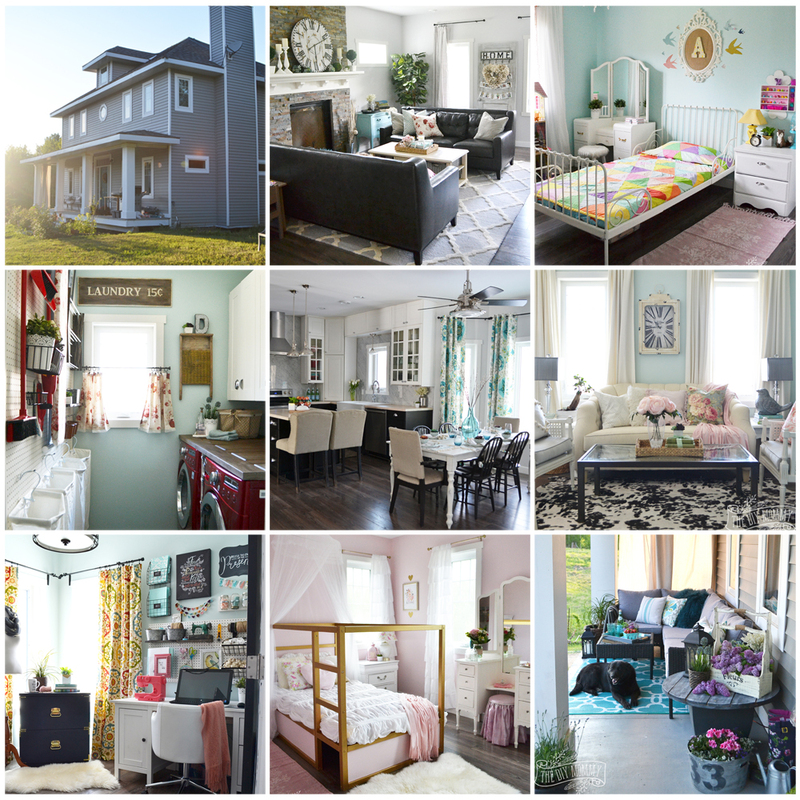 Chalk paint (or chalk finish paint) is a paint with a matte, chalky looking finish and feel. It doesn’t usually require any prep (like sanding and priming) because it is very thick and sticks well to most surfaces. It also sands very well, which makes it a prime candidate for finishing pieces that you want to distress. 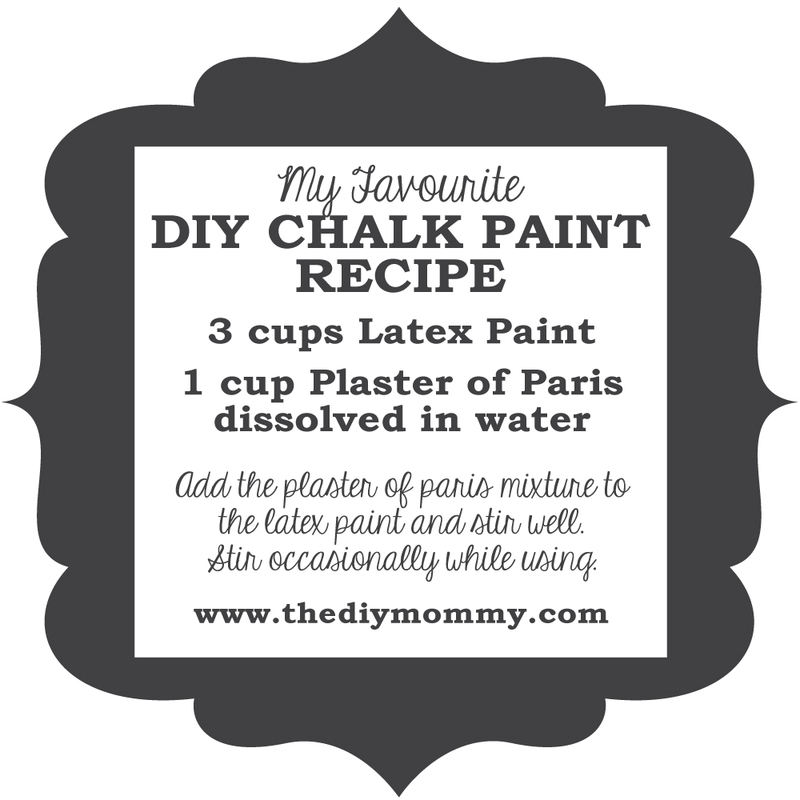 I researched how to make my own (because I didn’t want to spend a lot of money on paint), and the best reviews I found were of DIY chalk paint made with latex paint and plaster of paris. 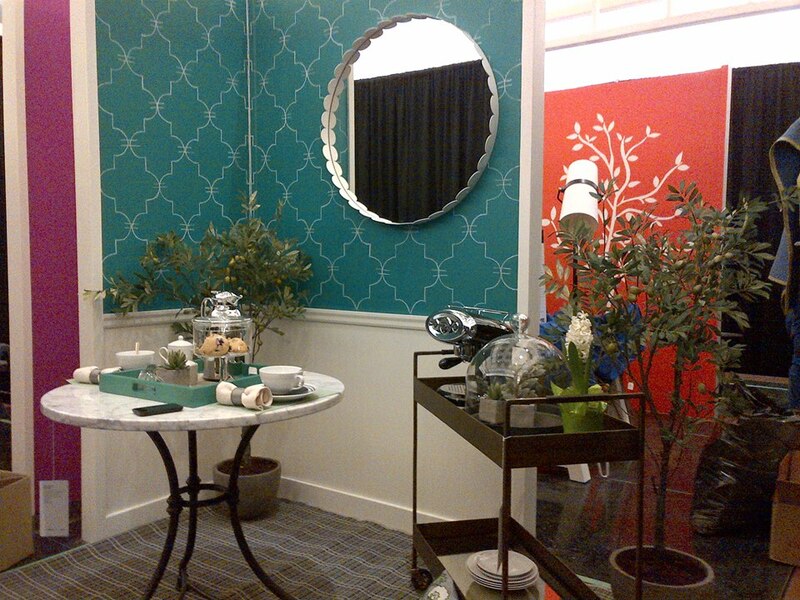 My first big project was our kitchen table, and I was thrilled with the feel of the paint and the results I achieved. You should see how this stuff sticks to metal! It’s fabulous. I sanded the metal stools slightly to begin. I brushed the DIY chalk paint on with a regular nylon brush, waited until it was completely dry, and then sanded the parts I wanted the original black finish to show through a little. I recommend this DIY chalk paint as an easy way to paint wooden furniture and metal furniture – especially if you want to sand it a little afterwards for a time-worn look. Chalkboard paint is a paint you can write on with chalk. It can be rolled directly onto drywall to create a chalkboard wall. I made this paint to create a fun chalkboard wall for a design competition I was in, and it worked really well. I think DIYing chalkboard paint is fantastic because you can make it any colour! I recommend using a fine foam roller to roll DIY chalkboard paint onto a wall so that it’s as smooth as possible to write on afterwards. Let the paint dry completely and then “prime” the chalkboard wall by rubbing chalk over the entire thing and then erasing it. This helps future artwork wipe off evenly (leaving no remnants behind). 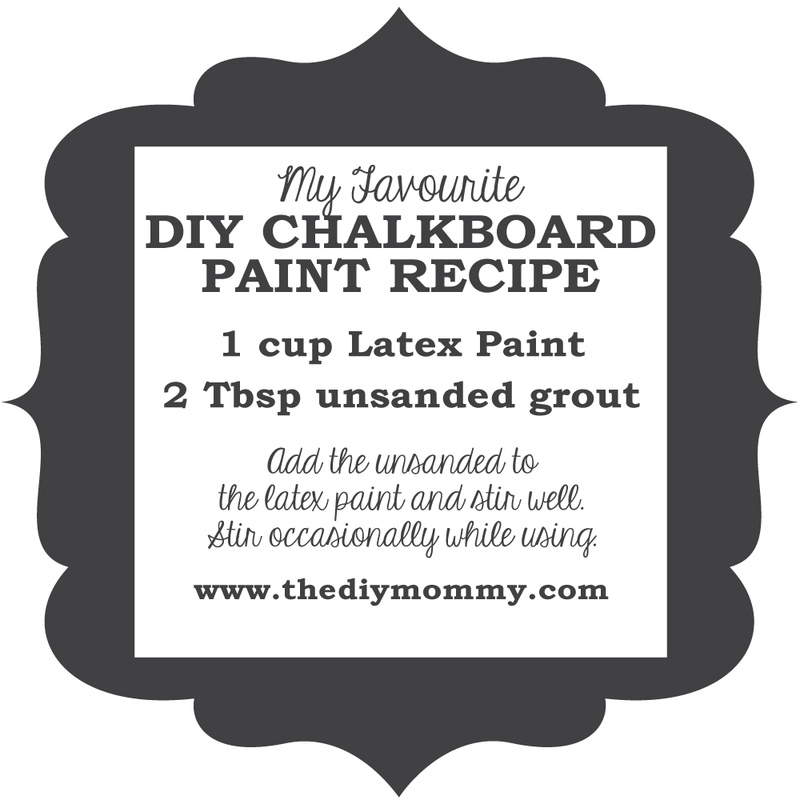 I recommend this DIY chalkboard paint for creating a small or large chalkboard wall on drywall. 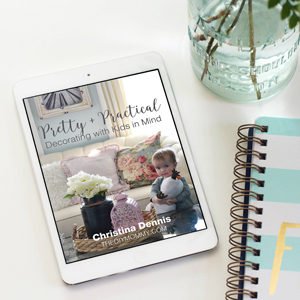 I haven’t tried it on any other surface, but from my research it won’t stick to other surfaces quite as well as the DIY chalk paint recipe. 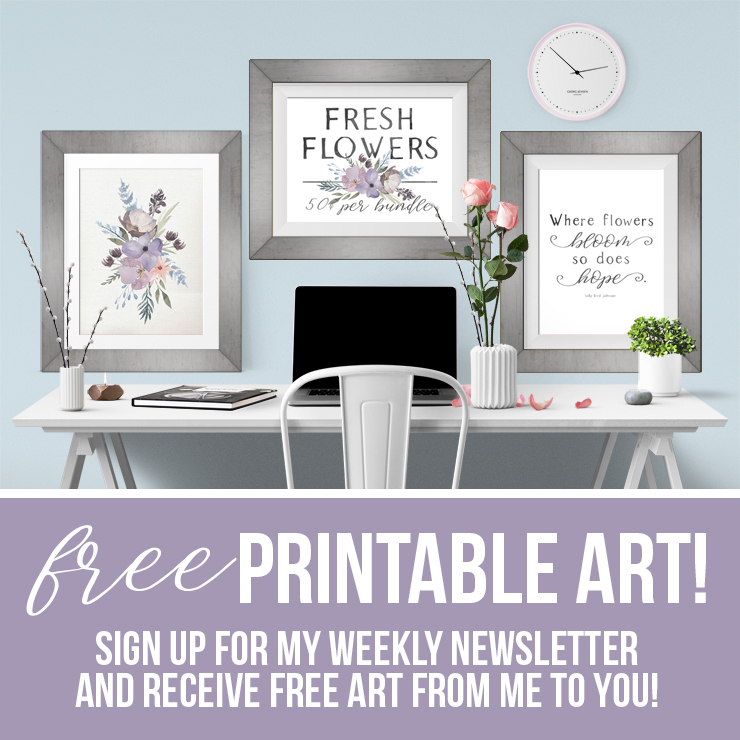 Have you ever worked with chalk paint? With chalkboard paint? What have your experiences been? I hope this helps answer some of the questions you may have about DIY chalk and chalkboard paint! If you have any other questions about them, please let me know in the comments. When you make the diy chalk paint, where do you get the wax you used? I can’t find it anywhere! It’s from Home Depot – I found it at the Spruce Grove location in the stain section. I like painting with both! So many possibilities.. oh and I liked your stools, they turned out beautiful! I painted my son’s dresser with home made chalkboard paint. It has held up great for 2 years noe. It was a laminate dresser. Onlyvprep was cleaning and a lite sanding. Now I am painting all my wainscot chalkboard paint and my kitchen cabinets. It will really let the little one get creative while mommy cleans. Is the clean up very dusty when you erase? I remember as a kid the chalk boards were very dusty. Also, can you you only use chalk to write on chalkboard paint? Or can you write on chalk paint as well? Thanks for explaining all that. I had no idea you could make your own chalkboard paint. I’m actually in the middle of a project with chalkboard paint, and the surface is turning out a little rough – thanks for the foam roller tip! You’re so welcome! Thanks for visiting, Dani. Yes, I love using a foam roller for chalkboards – it does definitely make a difference! I was wondering with your chalk paint recipe how much surface can you cover with the 3 to 1 ratio? Also, do you have to purchase the latex paint in the color you want or is there something you can do to add color and you’re able to expand the use of the one latex paint bucket? I’ve just used coloured latex paint so far, I haven’t tried adding my own tints. The addition of the plaster of paris doesn’t add much volume to the paint, so use the coverage guide on the original latex paint can as a rough guide. Hope that helps! So I’m curious about your above recipe for Chalk paint. How much water do I use to dissolve the plaster of paris before adding to the latex paint?? Did you try this? How much water did it require? Of course! I do it all the time. I usually start mixing in water about 1/4 cup at a time until the plaster of paris dissolves. 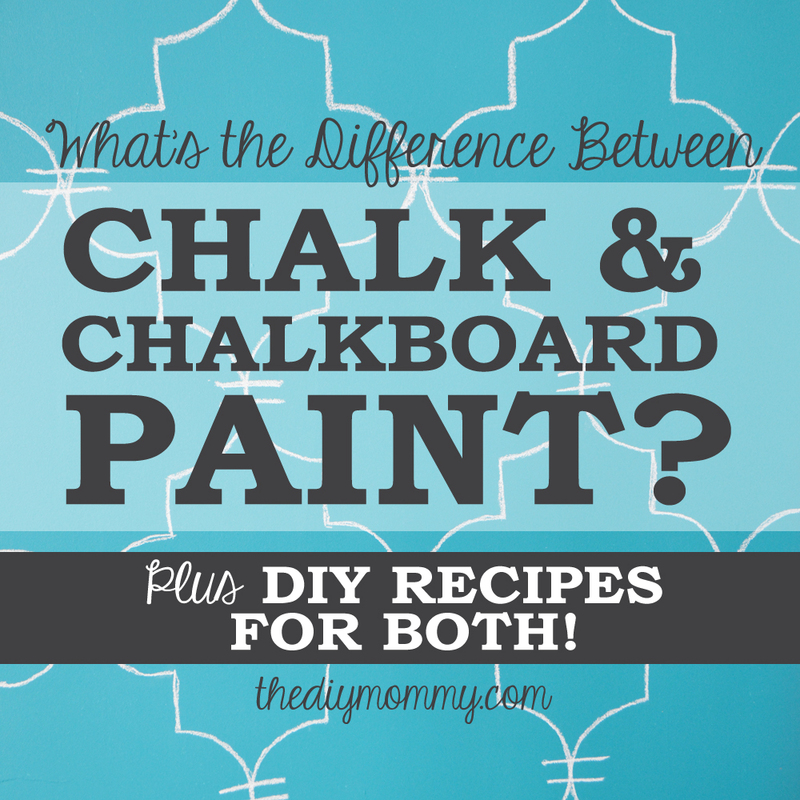 So chalk paint and chalkboard paint are different? You can’t use chalk paint as chalkboard paint? 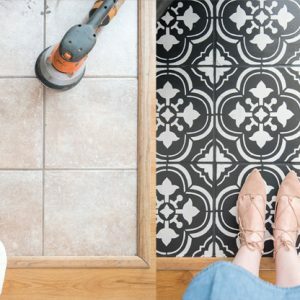 Can you use chalk paint for rubber? For example, rubber mid soles on shoes? I’m not sure! It would be interesting to try! When making the chalk paint, what kind of consistency should we be looking for? And what type of brush/roller should be used? Thanks!! Always enjoy your furniture projects! I have painted a wooden plaque using chalk paint but can’t find a pen that will write on it easily. The pens seem to take the chalk off. Any ideas of what pen to use, please. 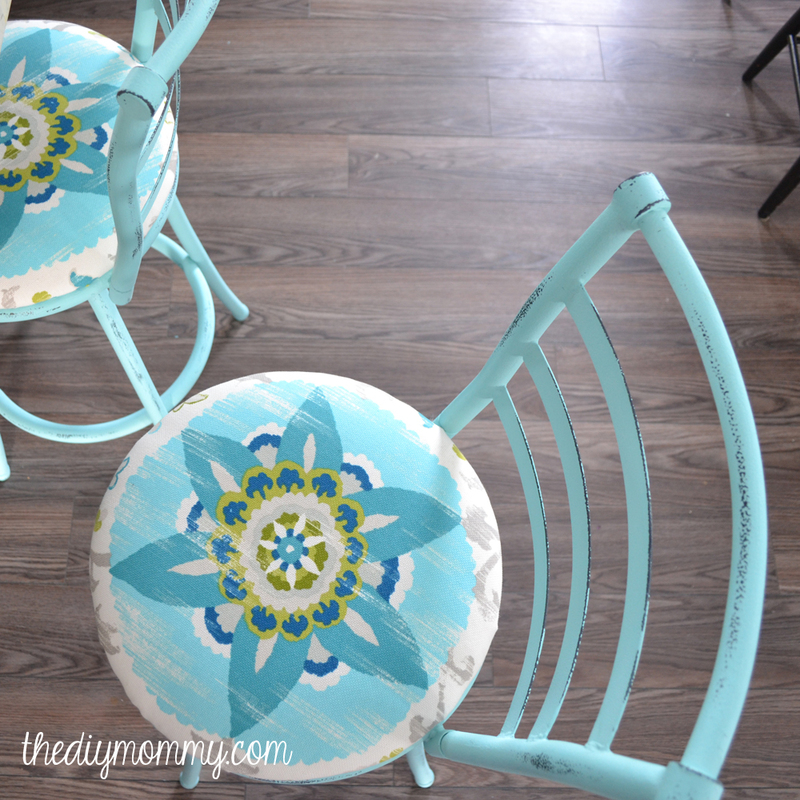 Did you seal your chalk paint with a wax paste after painting it? Well done! Expecting more innovative ideas from you.